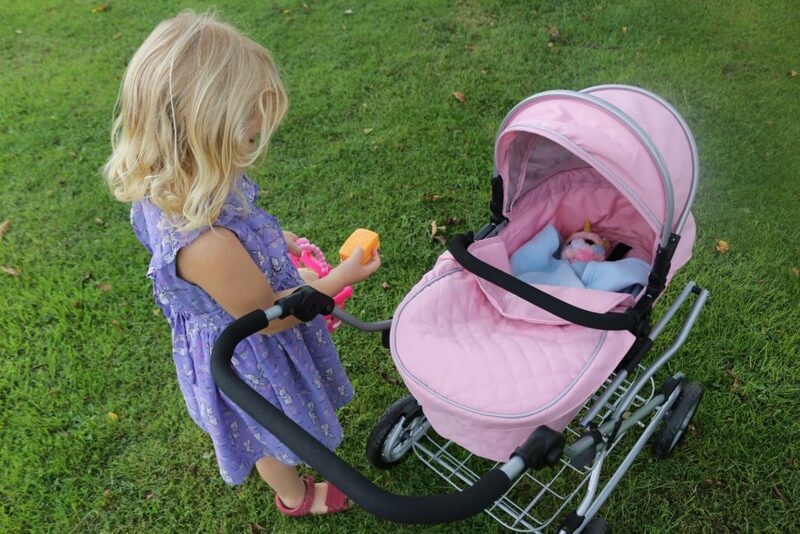 The dolls’ pram is a staple toy for any little girl or boy.Both of my children used their dolls’ buggies (yes, multiple buggies; one at home, one at Nanny’s and one at Grandma’s!) 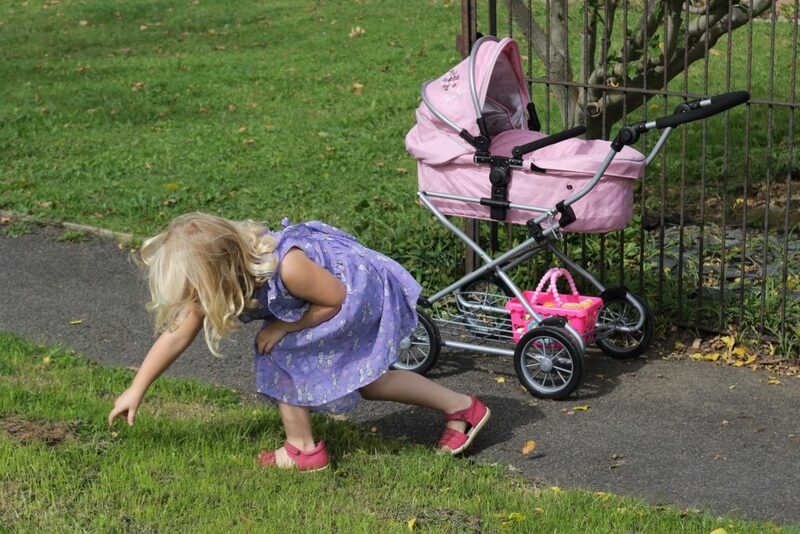 whilst learning to walk, and then as they got older to act out role play and take their many toys to the shops. 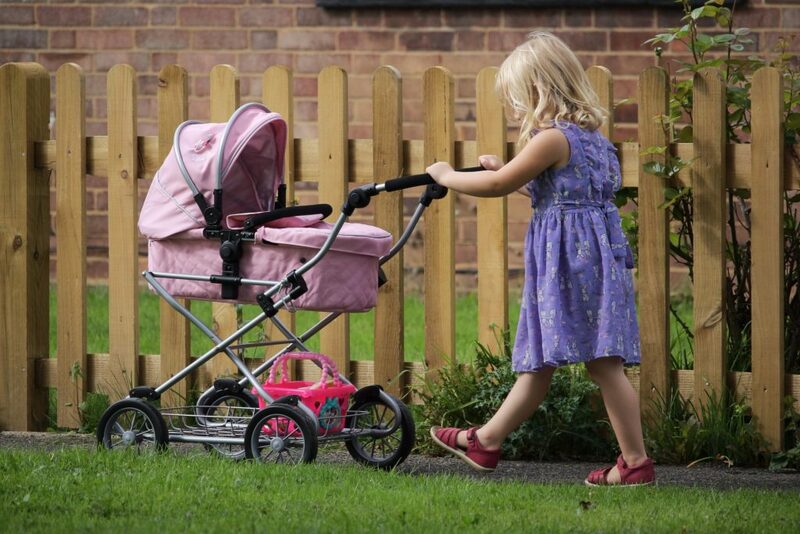 But, as all parents-to-be quickly realise, not all prams are created equal, and this is definitely the case with dolls’ prams too. 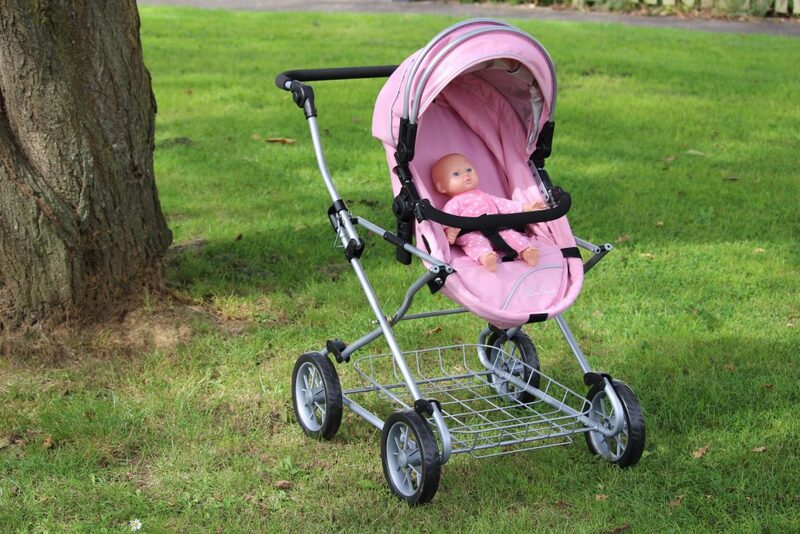 The Play Like Mum Silver Cross dolls’ pram is no average dolls’ pram. 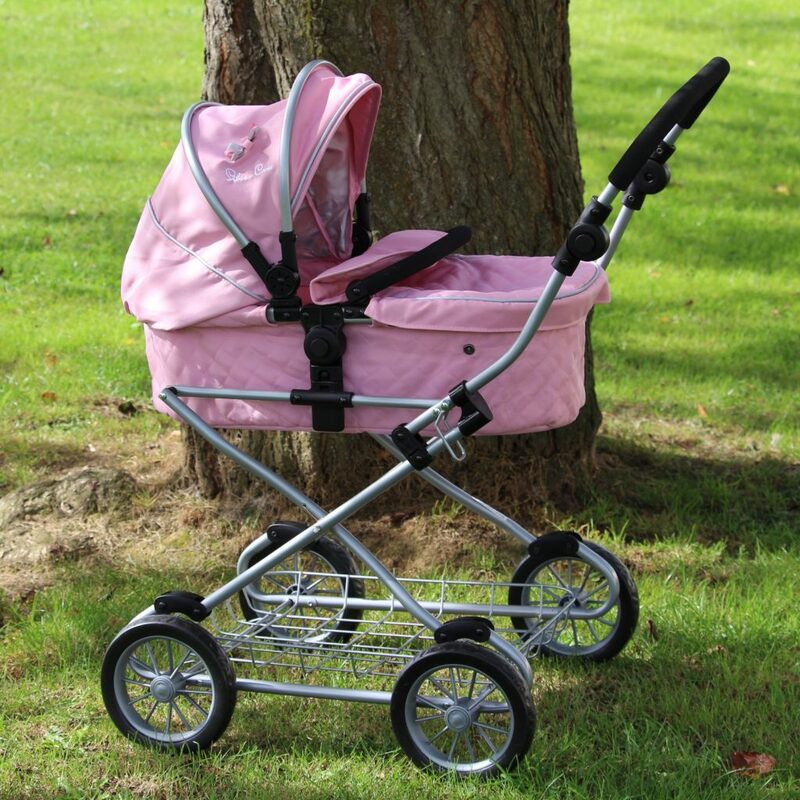 The new Play Like Mum Silver Cross range includes the Pioneer, the Pop and Twin Pop and the Sleepover. 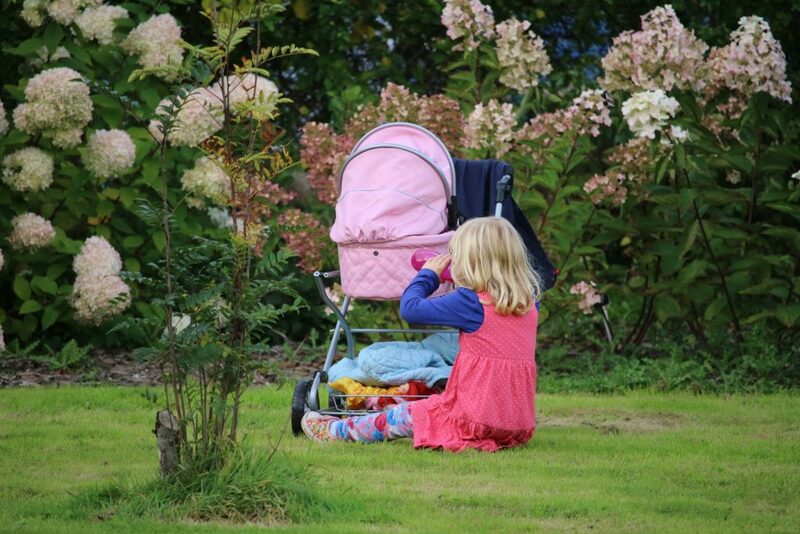 We opted for the Sleepover travel system as I thought it was the most classic, attractive to look at (practicality really doesn’t come into it when you’re pushing a doll around) and versatile, as it can be used as a pram or a buggy and can be parent (well, child) or world facing. 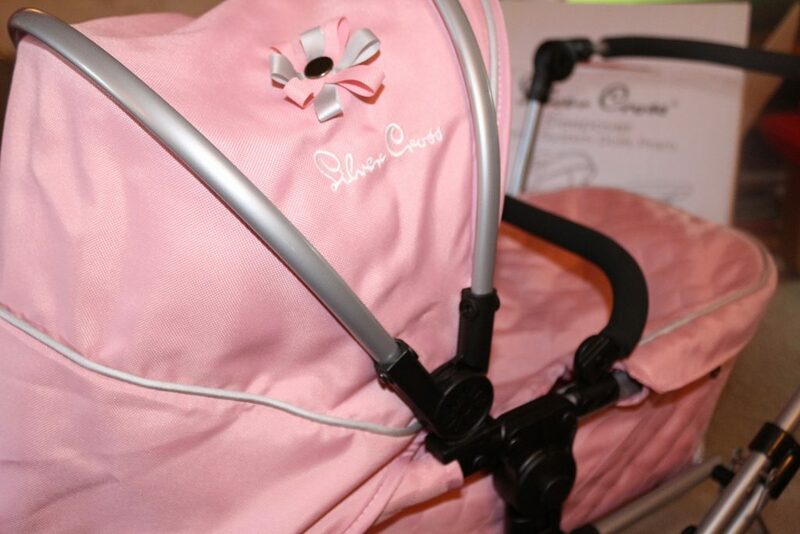 The pram is beautiful and excellent quality. 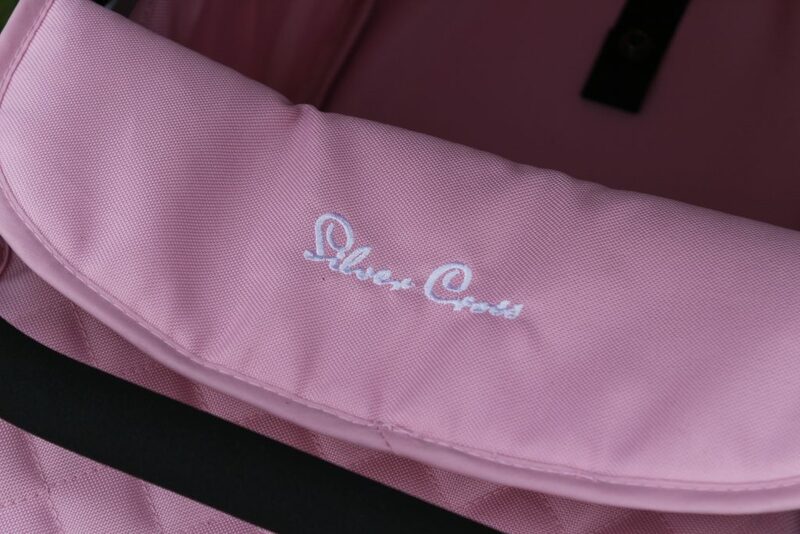 The detail is lovely and shows that they’ve taken care to match the original pram, right down to the stitching. 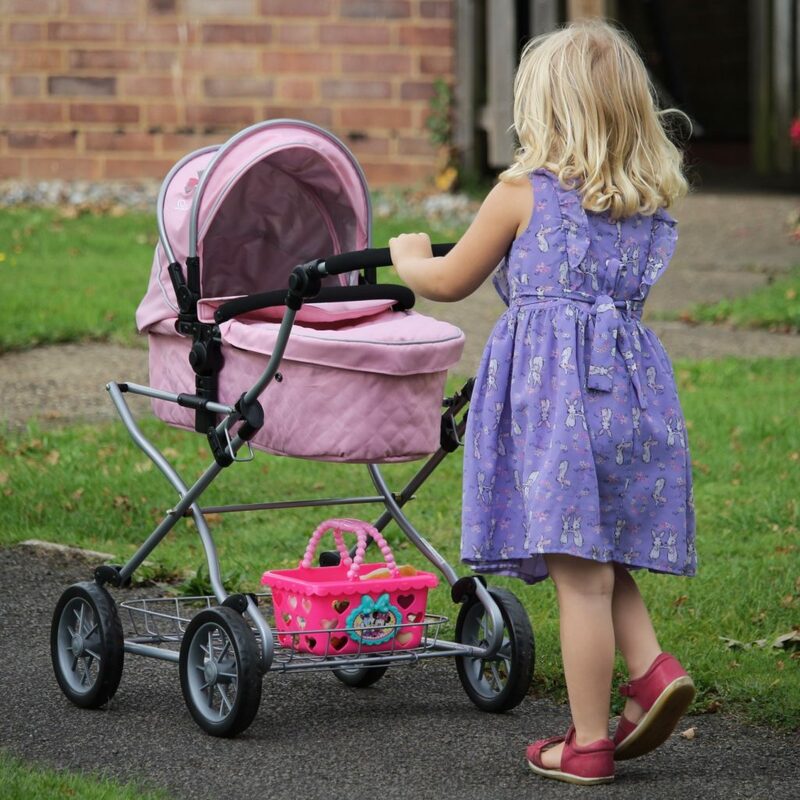 The pram takes no time at all to assemble; if you’re familiar with travel systems then it will be a doddle to put up although a younger child will need help with this. 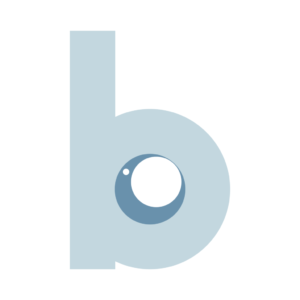 The seat/carrycot slots into the frame facing either way and can be set at different angles. 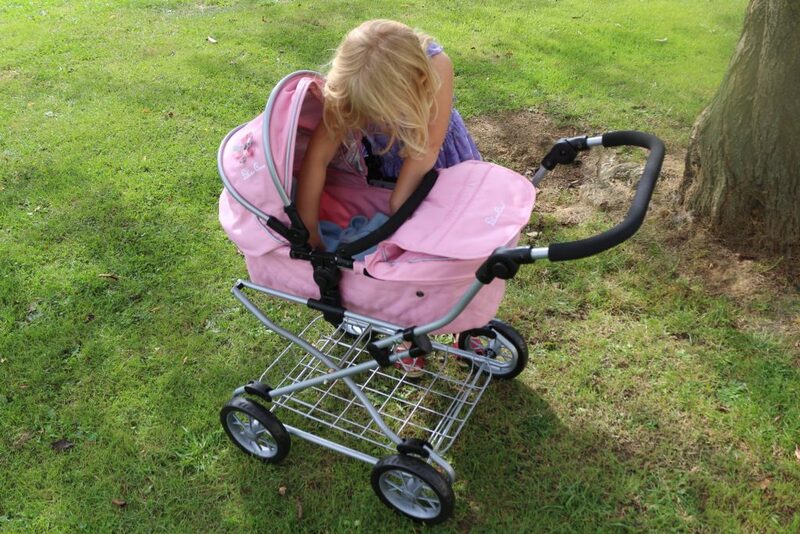 In buggy mode, clever poppers keep the seat in place and can be unpopped to form the carrycot. Or just snacks, because they’re pretty important. 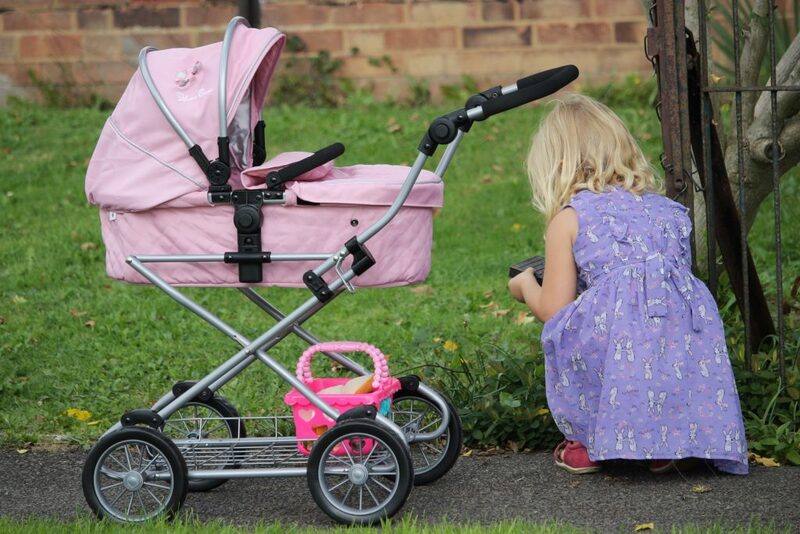 It’s quite big for a dolls’ pram. Larger than others we’ve played with, but I think this is because it’s really not aimed at toddlers but slightly older children of maybe 5+ who can be trusted with nice things (she can, just about…). 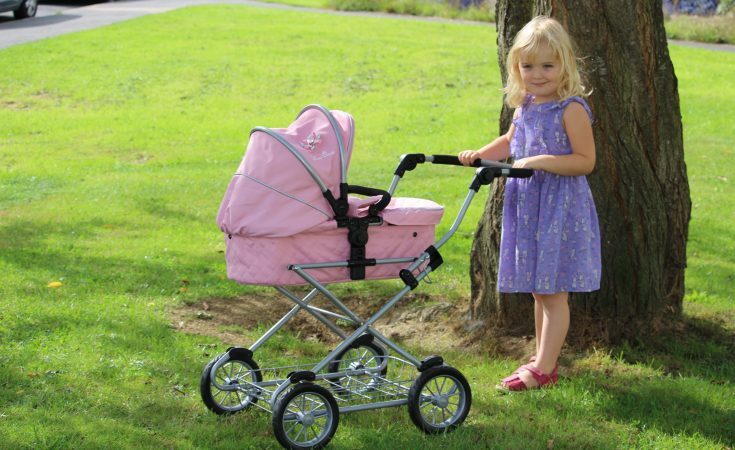 As you can see from the photos, the handlebar is adjustable (just like a real pram) and will therefore suit a wide age range. It’s a pleasure to push and easy to navigate. The only thing it doesn’t have is a parking brake! 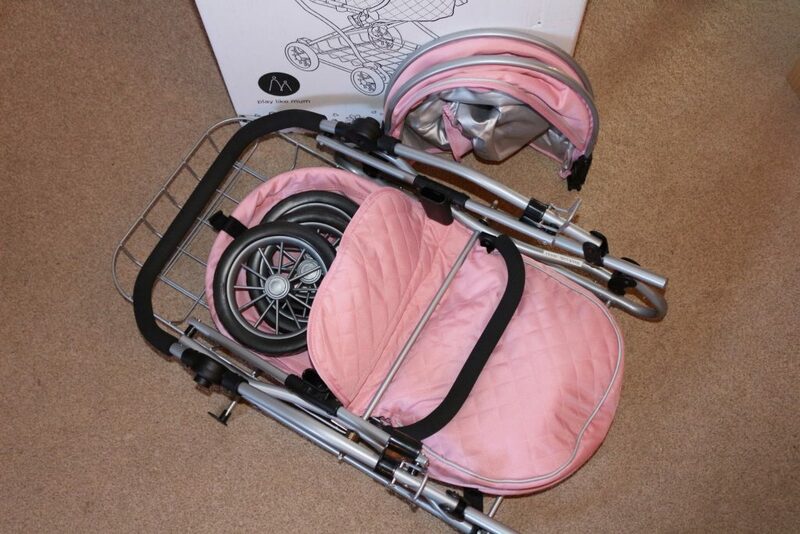 The set retails at £89.99; not a small sum of money, but it is definitely a cut above your average doll’s pram. It’s not for a toddler; this is a special landmark-birthday type gift for a child who can appreciate it; I hope that the big one is now at that stage. I am confident that it will last us many years and get very well played with! 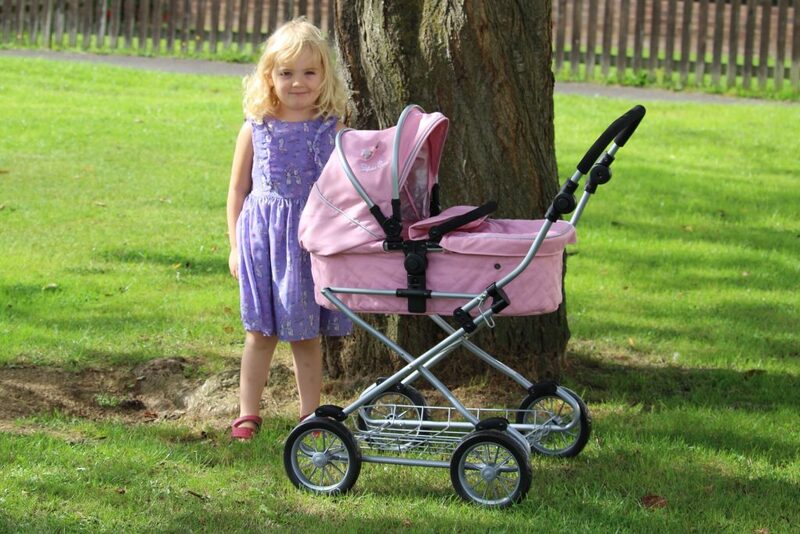 We were sent the Silver Cross Sleepover Travel System Dolls Pram by Play Like Mum free of charge but all words, opinions and pictures my own. 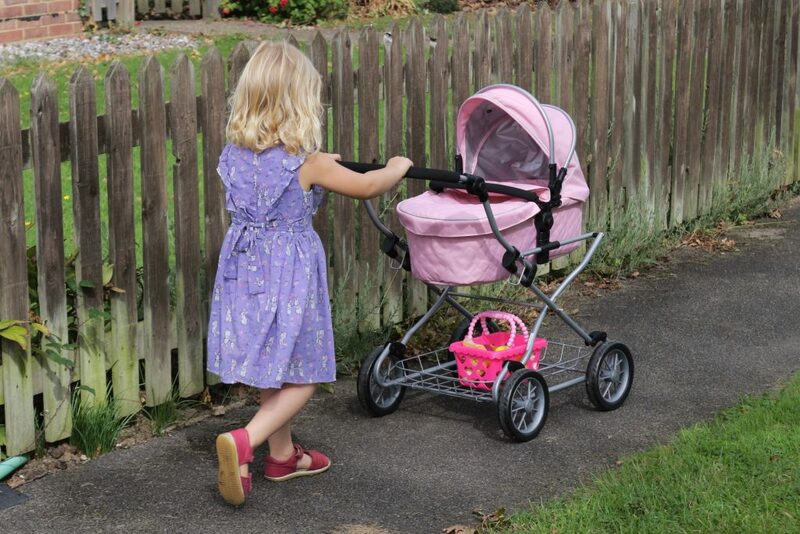 If you’d like to find out more about Play Like Mum’s Silver Cross dolls’ pram range then they can be seen here. 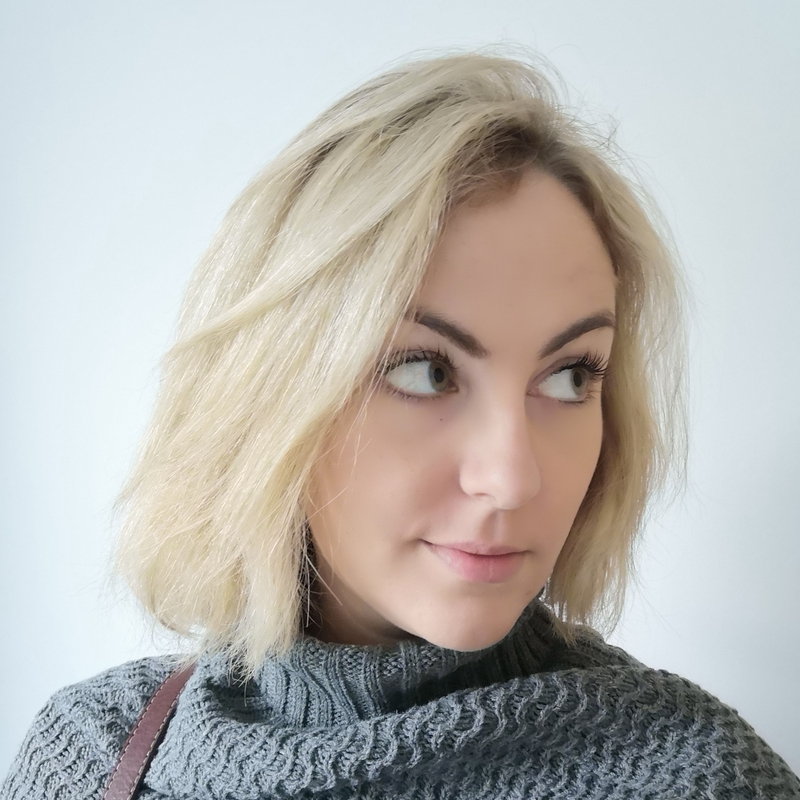 Play Like Mum can be found on Facebook, Twitter and Instagram! Would you say this would be ideal for a 7 year olds height? I would advise you to measure your child and then take a look at the dimensions on the official site before purchase, but I would say absolutely, yes. This isn’t aimed at a toddler; it’s much bigger and taller than others we’ve played with. 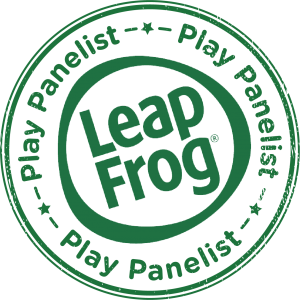 I’d say it is probably ideal for 5-8 year olds.